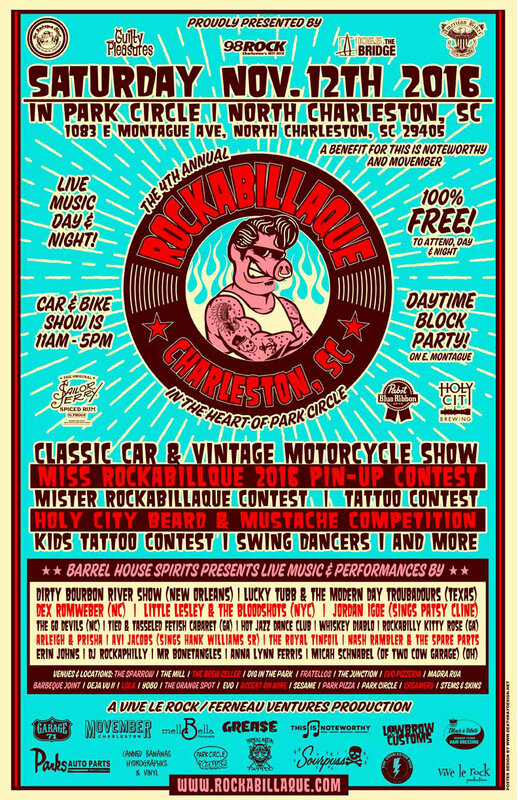 Come one come all, to the coolest block party in Charleston, Rockabillaque! They have everything from Pin Up contests, music, food, and even tattoos for kids. Tonight we’ll be sharing the stage with Little Lesley & The Bloodshots. Their set starts at 7, Dirty Bourbon kicks off at 9.